Demand for SUVs, including the Kodiaq, helped boost Skoda's China sales. Volkswagen Group's China sales rose nearly 12 percent to 334,800 in April, led by the Audi and Skoda brands. Audi sales jumped 14 percent from a year earlier to 52,411 on demand for the upgraded stretched A4 sedan. 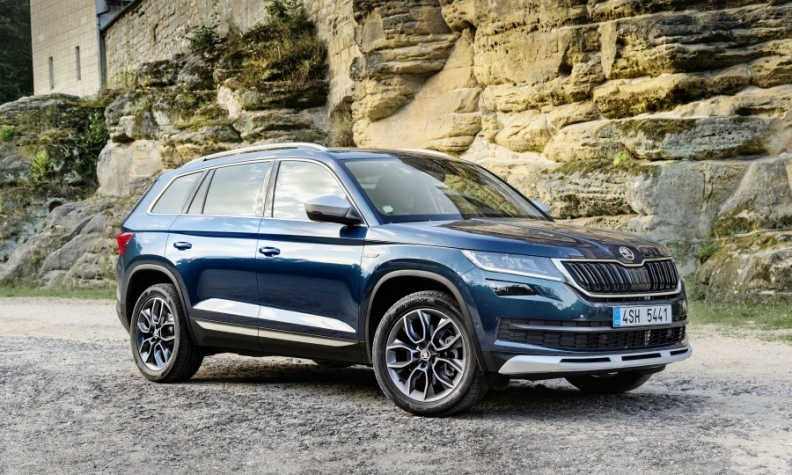 Skoda deliveries surged 34 percent to 28,000, reflecting strong volumes generated by the Kodiaq and the Karoq SUVs. Sales at the VW brand increased 9.5 percent to 247,400 on demand for the Golf and Lamando sedans as well as the Teramont SUV. VW Group didn’t disclose sales of its other brands in China. Through April, the automaker delivered 1.34 million vehicles in China, its largest market worldwide, for an increase of 13 percent from the same period last year. The numbers suggest VW outsold its closest rival, General Motors, in China for April, but not for the first four months. GM stopped releasing monthly sales for China in April and will only release results on quarterly basis going forward. But according to its partner SAIC, the Detroit automaker's two joint ventures in China delivered 323,870 vehicles in April. Last month, SAIC-GM, GM's joint venture with SAIC, that builds and distributes Cadillac, Buick and Chevrolet vehicles, delivered 171,177 vehicles in April, SAIC reported. At SAIC-GM-Wuling, a partnership that produces and markets vehicles for the Baojun entry car brand and the Wuling minibus marque, April sales totaled 152,693. Through April, sales of GM's two joint ventures totaled 1.39 million vehicles. In the period, sales at SAIC-GM jumped 15 percent to 662,446 while deliveries at SAIC-GM-Wuling edged up 0.7 percent to 727,830.